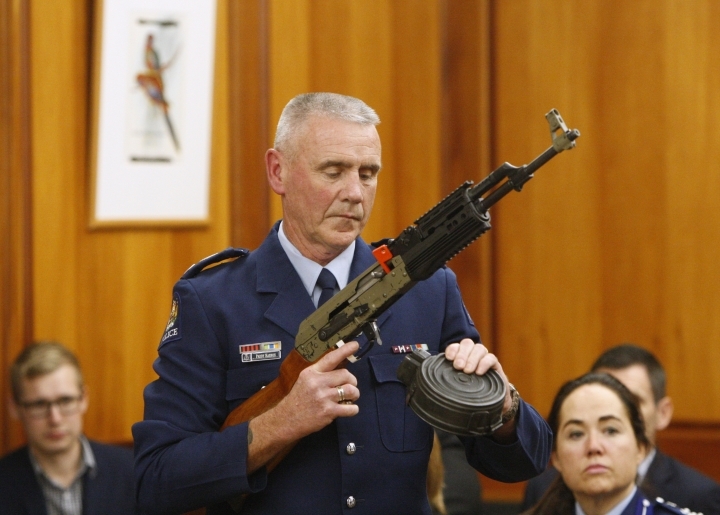 WELLINGTON, New Zealand — New Zealand lawmakers on Tuesday voted overwhelmingly in favor of new gun restrictions during the first stage of a bill they hope to rush into law by the end of next week. "We are also driven by the memory of 50 men, women and children who were taken from their loved ones on the 15th of March," Nash said. "Their memory is our responsibility. We don't ever want to see an attack like this in our country again. We are compelled to act quickly." 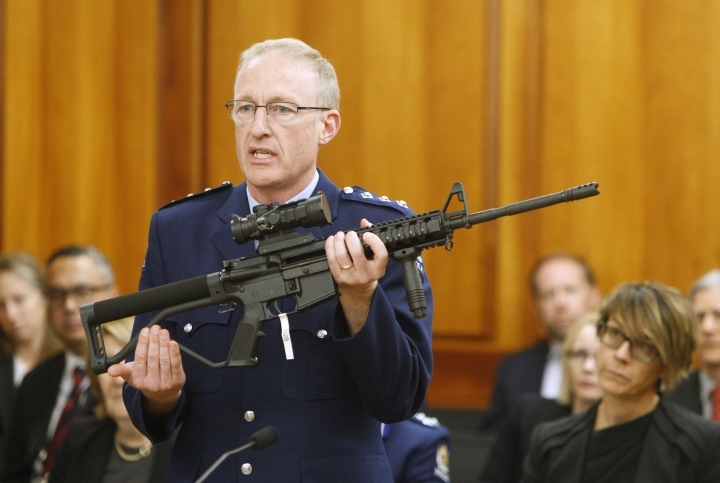 "Doing it in nine days before politicians go on their Easter break is starting to look more like political theater than public safety," he said. 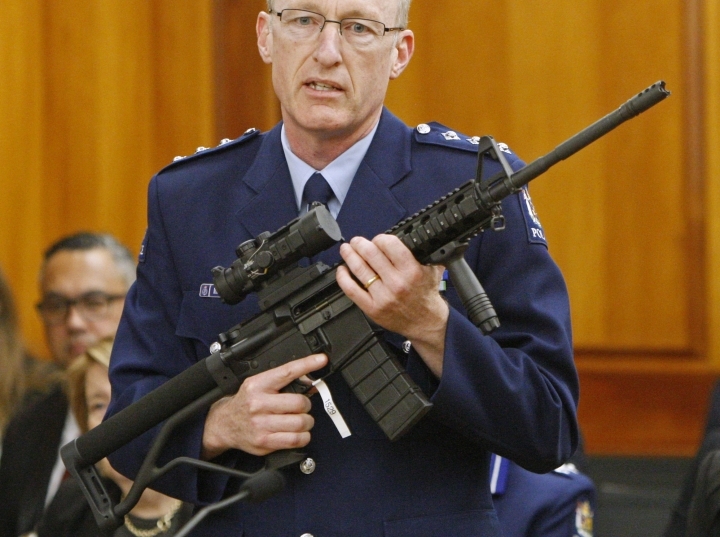 Many New Zealanders were shocked at the firepower the gunman was able to legally obtain and favor the legislative changes. Some are opposed. More than 14,000 have signed a petition filed in Parliament which says the law changes are "unjust" for law-abiding citizens and are being driven by emotions. 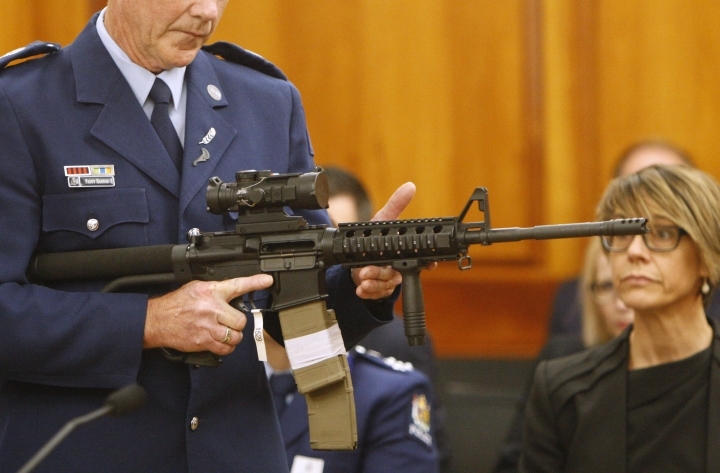 The bill would ban "military-style" semi-automatic guns and high-capacity magazines. 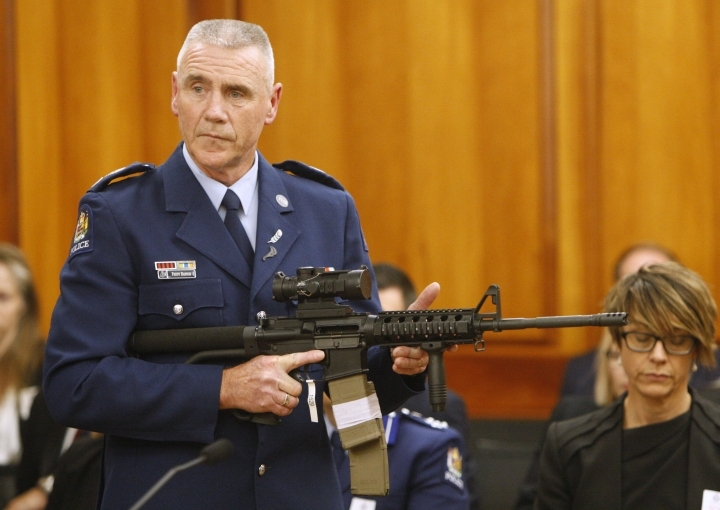 It would also ban semi-automatic shotguns that could be fitted with detachable magazines and pump-action shotguns that can hold more than five rounds. The bill wouldn't ban guns often used by farmers and hunters, including semi-automatic .22-caliber or smaller guns that hold up to 10 rounds, or shotguns that hold up to five rounds.